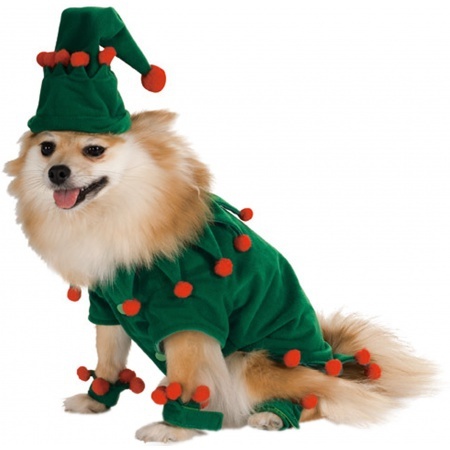 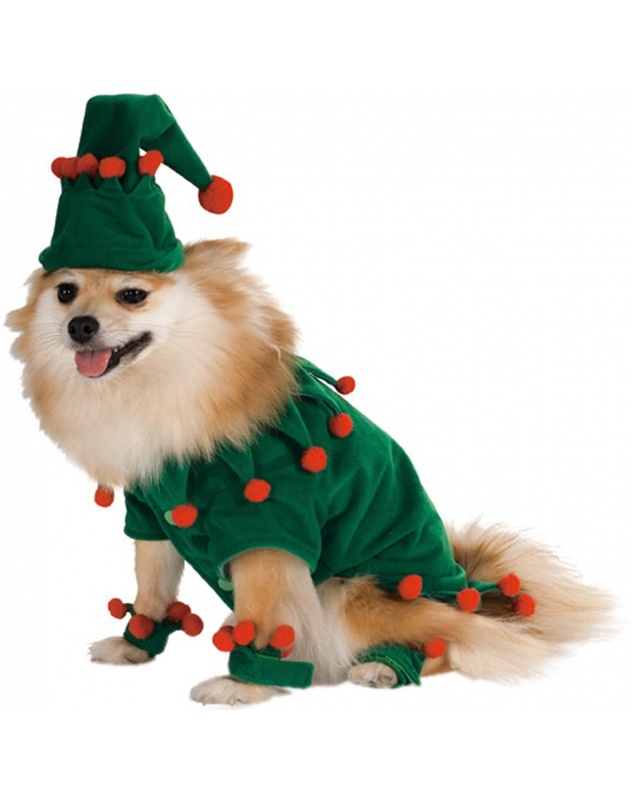 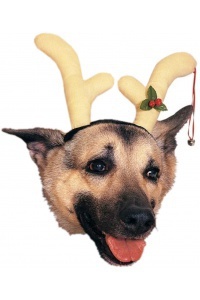 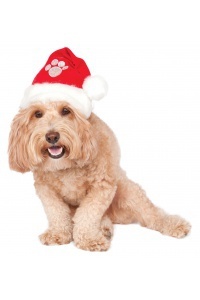 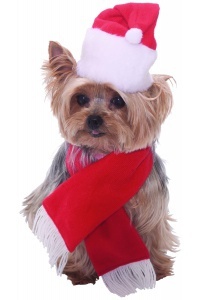 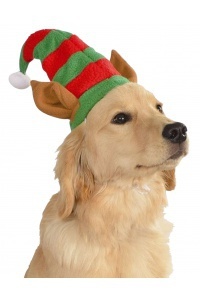 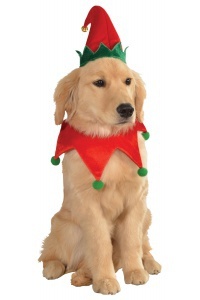 This elf costume for dogs includes an elf tunic with collar, hat and cuffs. 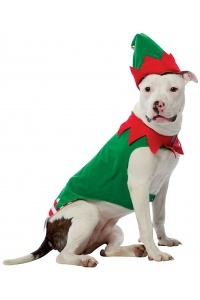 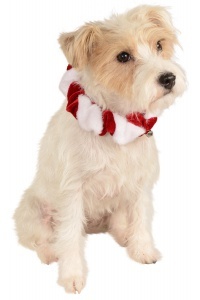 Our Elf comes in pet sizes Medium, Large, X-Large, Small. 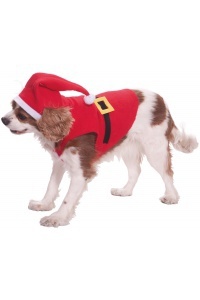 Cute little red pom poms adorn the fringes of the hat, tunic and cuffs.